Thank you for supporting things that help keep Paisley + Sparrow going and help me support my family! 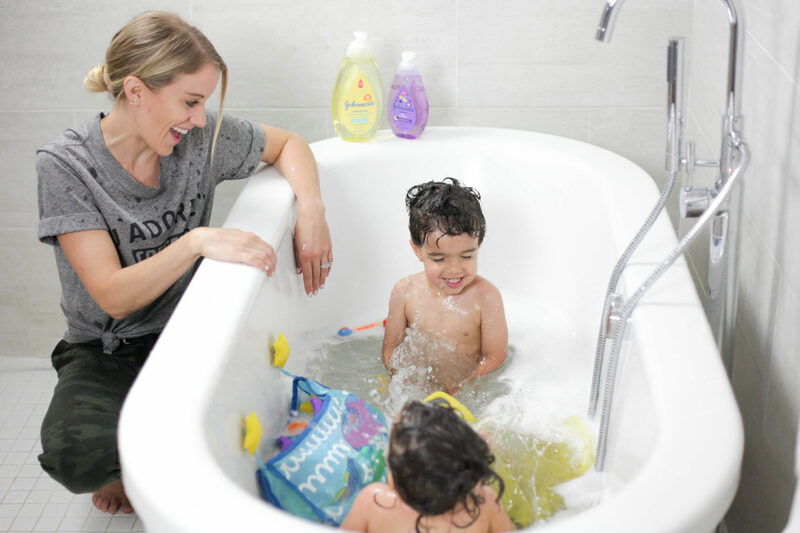 The kids and I recently walked up to our local Walgreens to pick up some JOHNSON’S® Bedtime Bath bubbles (I swear the bath time ones help calm Roy down before bedtime! 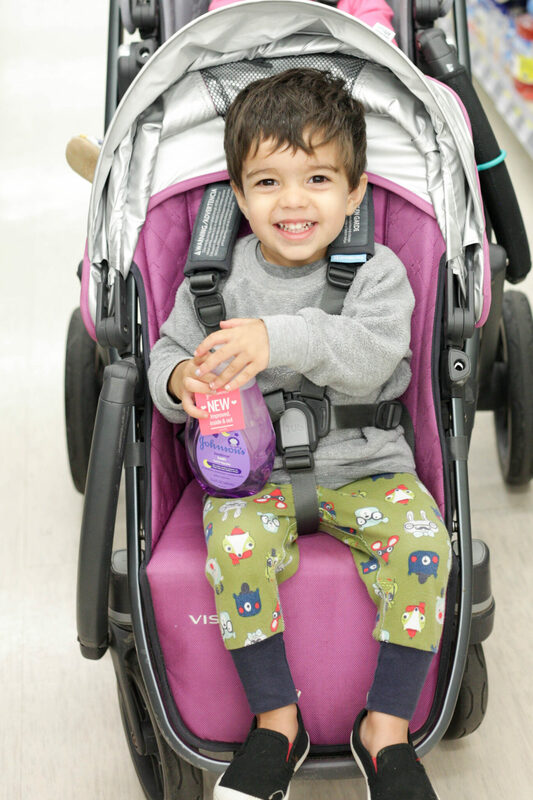 ), Head-to-Toe Wash & Shampoo (have you seen my kids hair?? we go through shampoo like it’s water), Baby Lotion and of course some pouches (Roy loves to eat pouches when I give them to Penelope which is a-ok with me since he’s getting fruits and veggies!). We bought our stuff and I opened up a pouch of prunes for Roy. (Yes, the kid loves straight pureed prunes. He’s crazy.) I handed it over and the next thing I knew he squeezed the pouch and sprayed pureed prunes everywhere. How come kids can eat a pouch at home with zero issues but the second you’re in public it’s like they’ve never seen one before!? There are few things I love more than super nice cashiers or workers and we always get that at our local Walgreens! 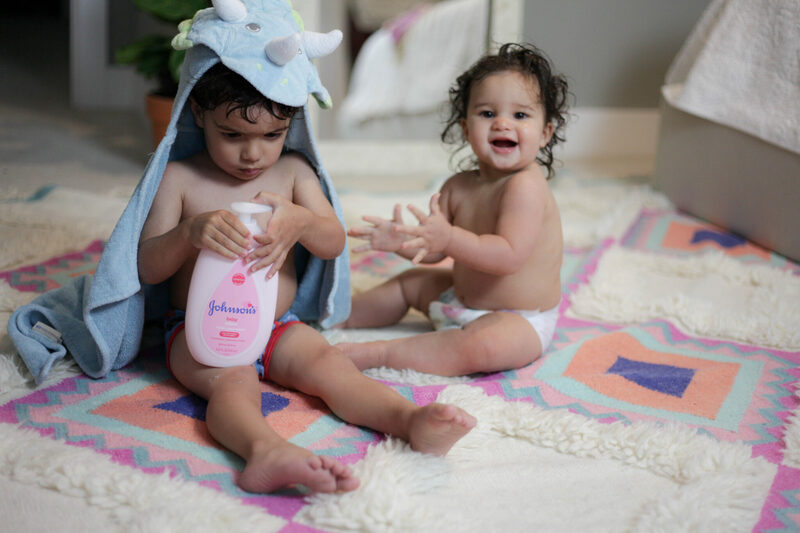 I love that Walgreen’s carries JOHNSON’S® baby products so when I run out of something (like Bedtime Bath bubbles!) I can get the kids in the stroller and quickly walk up to the store to get what I need. 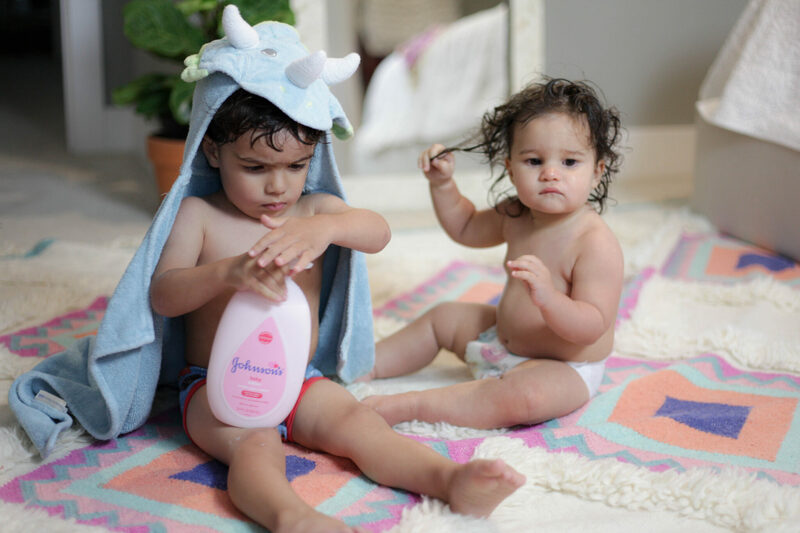 JOHNSON’S® baby products are 100% gentle, and free of parabens, and phthalates – just what I want for my kids! We recently started bathing the kids together and they love it! Penelope splashes around like a crazy person while Roy tries to stay as dry as possible. It’s pretty hilarious! I love seeing the kids already bonding together. I love to use shampoo and wash in one to cut back on how many bottles are in our bathroom. 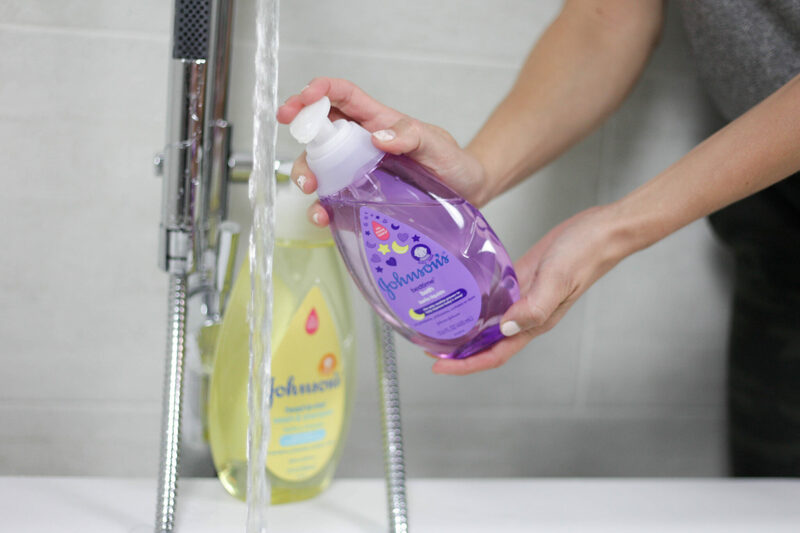 We’ve been using JOHNSON’S® Head-to-Toe Wash & Shampoo and it works great! 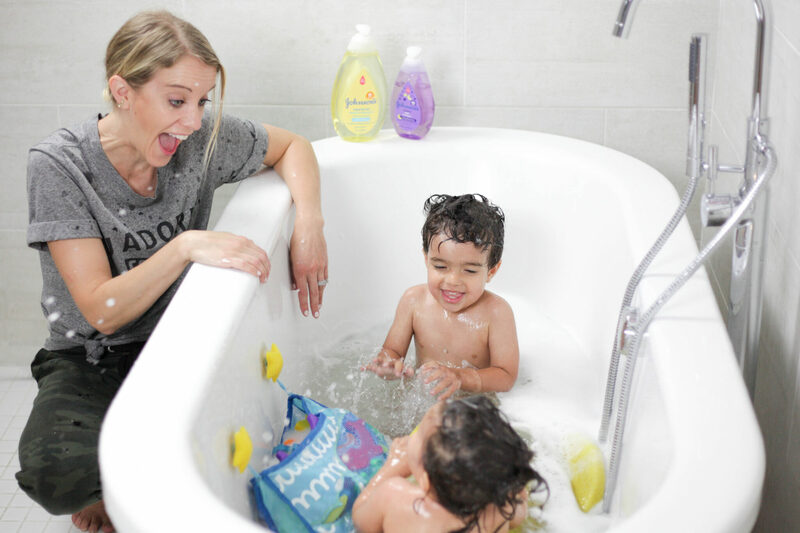 It’s super easy to just use one product for the kids’ hair and body and not have to mess around with different stuff. 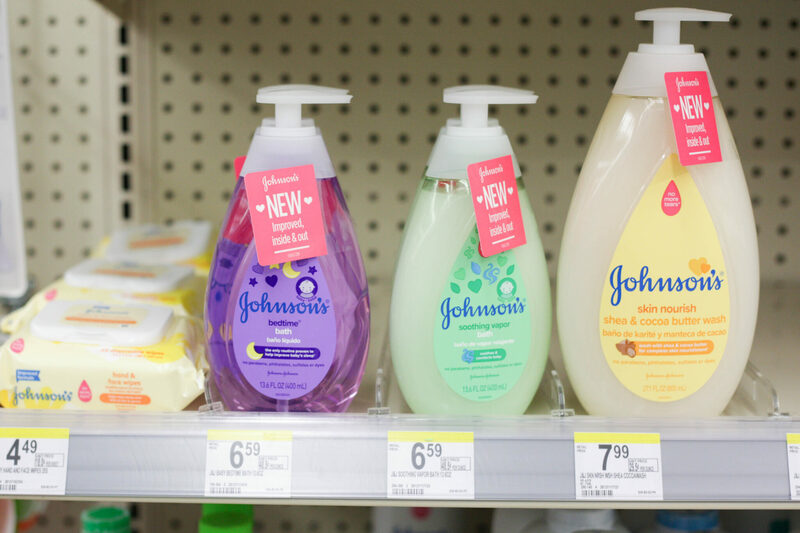 JOHNSON’S® recently reformulated their products so there’s fewer ingredients and over 90% naturally derived ingredients. 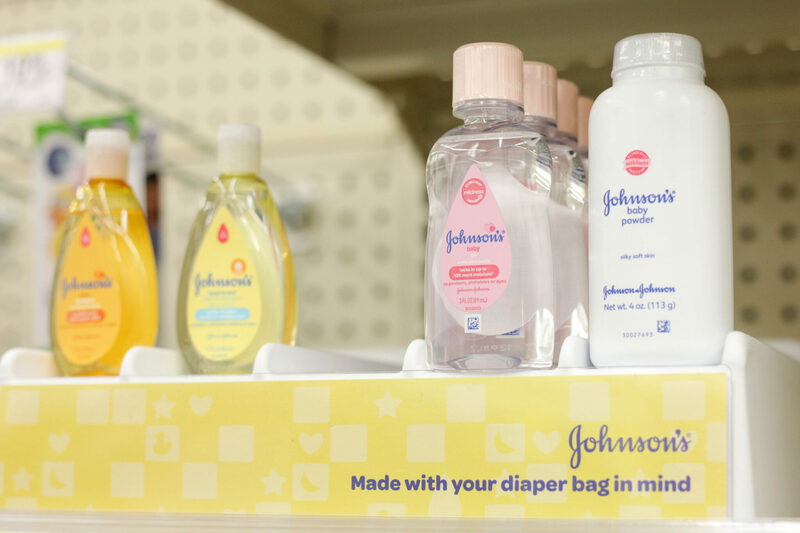 It’s true what they say – JOHNSON’S® is “The Brand You Trust, Now More Gentle Than Ever”! We always end bath time with a lotion party. Roy is obsessed with “low-li” as he calls it and is learning how to put it on himself! It’s fun to see him learning new skills with each day. 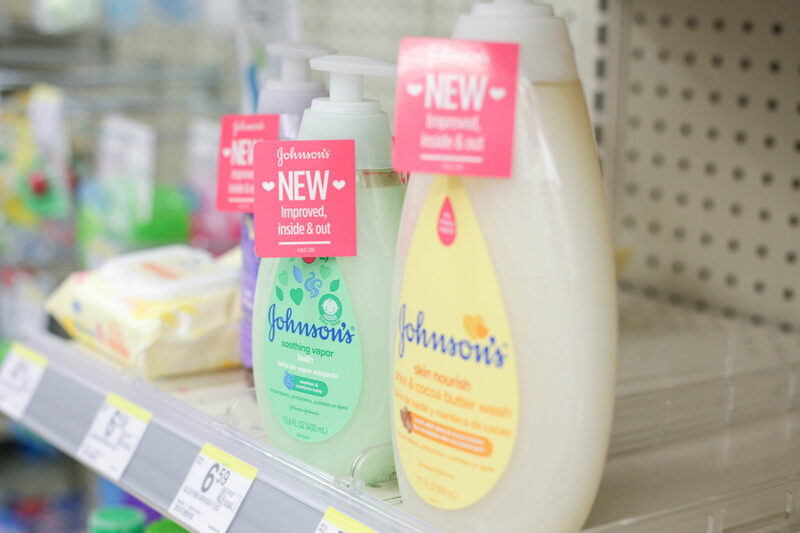 And now until 9/22, you can save $1 on any 1 JOHNSON’S® lotion, wash, or hair care item. Simply click here for a digital, paperless coupon! 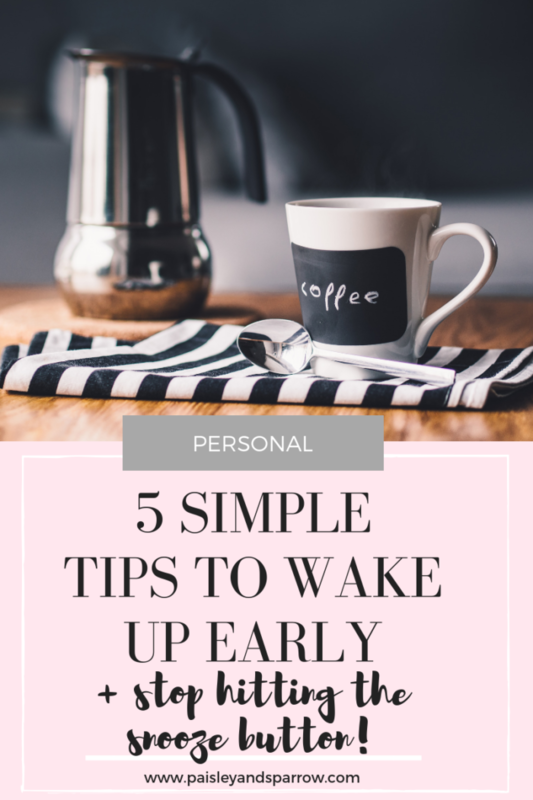 Thanks so much for reading and thanks JOHNSON’S® for sponsoring this post!